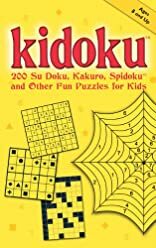 A brand-new, jumbo-sized activity book packed with a variety of puzzles, including traditional Su Doku, the new game craze Kakuro, and Spidoku puzzles-an exclusive feature of this book. 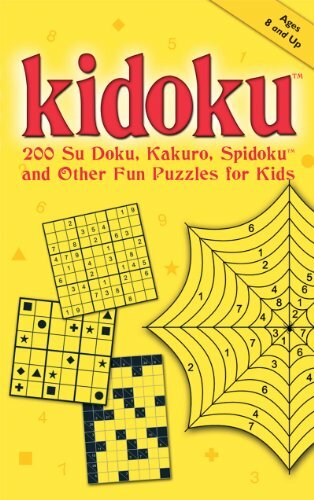 Featuring five different kinds of Su Doku-related puzzles for kids ages 8 and up, Kidoku is the ultimate puzzle book for kids-addictive, challenging and full of fun. Kidoku also includes a comprehensive section in the back of the book with "How to Play" instructions and valuable hints and tips.